The Education Team at Hampshire and Isle of Wight Air Ambulance have just completed a week long programme with the Prince’s Trust at St Mary’s Fire Station in Southampton. 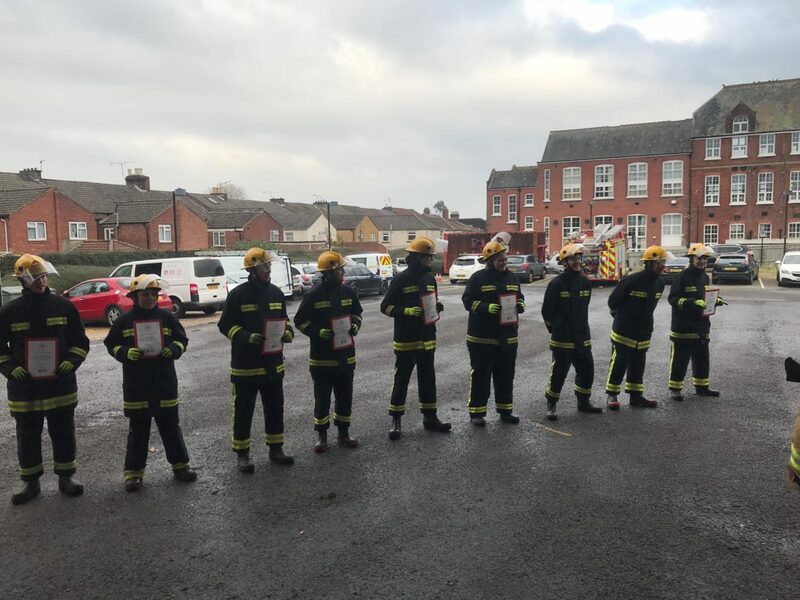 “On the 19th of November I spent the week at St Mary’s Fire Station in Southampton supporting, alongside Andover Police, a week-long Prince’s Trust programme led by Hampshire Fire and Rescue’s Gary Sloan and Shannon Doughty. This programme takes a group of young people who have never met before and provides them with a wide variety of transferable life skills that they can take with them into future careers. I was given the opportunity to also take part in this programme with them. Throughout the week, the team learned an incredible amount including: driving awareness, fire safety, casualty care in RTCs with a car cutting demonstration, and even earned a qualification in first aid. We also had talks from Lee and Dutch from Andover police about career options and a demonstration from the Hampshire Fire and Rescue Dog Unit. The HIOWAA education team, joined by Critical Care Paramedic John Gamblin, also visited the group to deliver our LifeLines workshop. John had an enormous impact on the young people with some of the team then feeling inspired to pursue careers as paramedics and even offer up their time to volunteer for HIOWAA. His natural enthusiasm for his work had clearly rubbed off on everyone.